I have a thousand exciting things to share with you! I'll start off by telling you that TWU FOCUS has started off so well! I've been shocked to see how many new students have started coming to our meetings. New people are still showing up even though it's October!!!!!! In my core this week we had three new girls show up. One of them I met at FNF the week before. She found our ministry on the TWU website and had been wanting to try it out for a while, but she was scared to go by herself. She finally convinced herself to come try it out and ended up showing up late because she got lost. Miriam Freeman saw her show up late, so after FOCUS ended she went to go say hi and introduce herself. She found out the new girl went to TWU and connected her with me. It was such a God deal. She's so excited that she finally decided to try out our ministry and thinks that she'll keep coming back. I'm just so excited to see what God continues doing on this campus. The guys side of the ministry is growing as well; we've had new guys coming to core and TWU FOCUS consistently. Our Friday Night Fellowship has been going really well, too. We've had a lot of TWU people going to FNF. 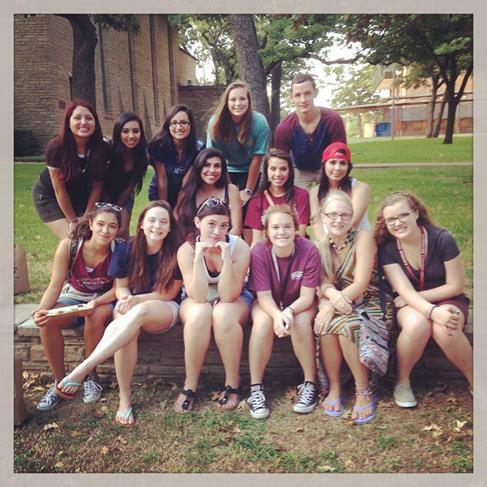 Last year it was really hard getting the girls to really be a part of the UNT community or really the TWU community. This year it seems like it hasn't been hard at all. All the girls seem so willing to attend things. The guys side of the ministry is still having a hard time building community, so it would be great if you could be praying for that. Lastly I just wanted to share with you about how our first annual Keep FOCUS Growing Initiative (#FOCUS140) went and what that money was able to do for our ministry! We raised $31,000. 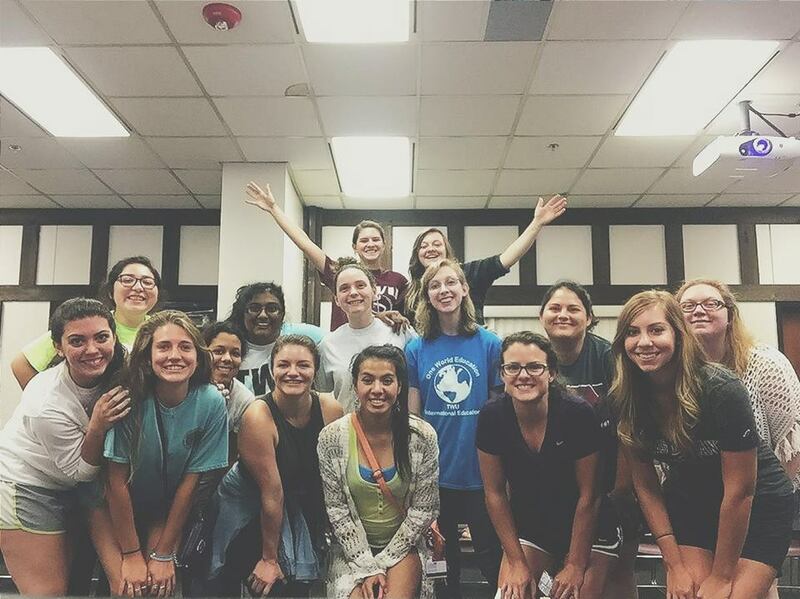 Established a major new ministry at UT Arlington and started groups at both NCTC and TWU Dallas as well. This means we are reaching students on 9 campuses now! Finished establishing FOCUS as a separate church legally, which protects our assets and ensures they will be used for campus missions in the years to come. It also gives us increased flexibility to meet the specific needs of our mission field. Launched a new website to meet administrative needs and better communicate with incoming students. Welcomed 14 new full-time interns, our largest class to date! Trained more than 15 student small group leaders to be missionaries to their campuses. If you're wondering more specifically how that money was spent here's a cool chart that explains that (the numbers are rounded). I tried to keep it general, but I'm happy to answer more specific questions as needed. A special "Thank You!" to all of you who gave. Our 2nd Annual Keep FOCUS Growing Initiative will launch in November! I'd ask that you keep this in your prayers. There is just so much more that FOCUS could do if we had the money. Next weekend the Denton ministries are going to go on our fall retreat. I'd ask that you keep that in your prayers as well. We're currently in the process of getting people excited and signed up for this event. 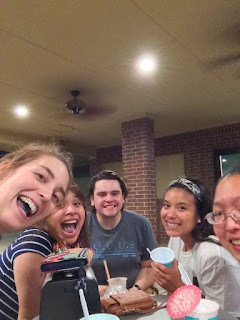 It is just such a special and neat opportunity to grow closer to both the people in core and in the ministry; Students really do miss out if they don't go, but they usually only realize that once the opportunity has passed.